Unistal's FAT data recovery software is a automated non-destructive data recovery utility helps you recover your lost and deleted files from hard disk or any data storage media where windows FAT partition operating system is installed. The features of this software are Unicode multiple lingual support, Bad sector management and recovery (BSMR) helps in optimized recovery from damaged disks, Recovery from damaged floppies, USB Drives, ZIP Drives. Quick Recovery for FAT's unique Guided File Excavation Technology (GFETch) helps in locating files and folders lost behind overwritten partitions and even if bad sectors hinder drive access. An exhaustive scan of the drive is performed to locate lost data. If data gets lost due to virus attack, disk crash, accidental files/folders deletion/emptied Recycle bin/ use of shift + del key, accidental formatting & creating different file system, missing Operating System or software failure, lost partition, missing drives, registry corruptions, overwritten FAT meta tags, fragmented/broken FAT, MBR & boot record are not present, file corruption etc., cause a business disaster then Quick Recovery is the best solution to rescue because it covers almost all recovery cases encountered since 1994. Windows Data Recovery Tool to recover lost data from Windows Operating System. 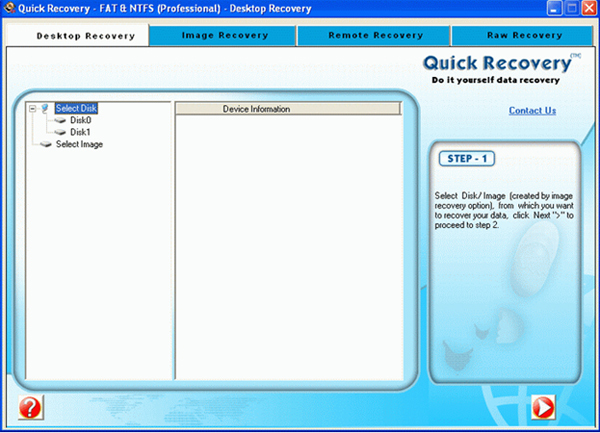 Recovers lost, deleted, formatted, erased files and folders from FAT. Qweas is providing links to Quick Recovery for FAT 12.9.0.0 as a courtesy, and makes no representations regarding Quick Recovery for FAT or any other applications or any information related thereto. Any questions, complaints or claims regarding this application Quick Recovery for FAT 12.9.0.0 must be directed to the appropriate software vendor. You may click the publisher link of Quick Recovery for FAT on the top of this page to get more details about the vendor.